Will Power joined an elite group of 50-time Indy car pole winners when he captured the Verizon P1 Award in record fashion this evening at Gateway Motorsports Park. Power will lead the Verizon IndyCar Series field to the green flag to start Saturday night’s Bommarito Automotive Group 500 presented by Valvoline. Driving the No. 12 Verizon Team Penske Chevrolet, Power turned two laps at an average of 189.642 mph under twilight conditions. Power’s first lap of 189.709 mph (23.7206 seconds) shattered the 20-year-old track record set by Raul Boesel (24.324 seconds, 187.963 mph) in qualifying for the first Indy car race at the 1.25-mile, egg-shaped oval in 1997. With 50 poles in his 13-year Indy car career, Power is tied with Helio Castroneves for third on the all-time list. The Team Penske teammates trail only legends Mario Andretti (67) and A.J. Foyt (53) in Indy car annals. Power, who won last week’s ABC Supply 500 at Pocono Raceway, collected his sixth pole position of the season and led a Team Penske sweep of the first four qualifying spots. Championship leader Josef Newgarden was second in the No. 2 PPG Automotive Refinish Team Penske Chevrolet (188.316 mph). Castroneves was third in the No. 3 Shell Fuel Rewards Team Penske Chevrolet (187.457 mph) and 2016 series champion Simon Pagenaud fourth in the No. 1 Menards Team Penske Chevrolet (186.747 mph). Power has now won six or more pole positions in four seasons (eight each in 2010 and ’11, six in 2015). Team Penske has won 10 of the 15 pole positions this season and now has 255 poles in its Indy car history. Team owner/driver Ed Carpenter was the top non-Penske qualifier, ranking fifth in the No. 20 Fuzzy’s Vodka Chevrolet for Ed Carpenter Racing (184.528 mph). Reigning Indianapolis 500 winner Takuma Sato was sixth in the No. 26 Andretti Autosport Honda (184.186 mph). Dale Coyne Racing’s Sebastien Bourdais made his return to competition following the May 20 crash in Indianapolis 500 qualifying that left the four-time Indy car champion with factures to his right hip and pelvis. Bourdais qualified 19th in the No. 18 Sonny’s BBQ Honda. “It was a disappointing qualifying run,” Bourdais said. “I knew coming in that it was going to be somewhat difficult. I don’t have the confidence and I didn’t get a good read on the qualifying trim in our simulation run in practice, so we stayed a bit careful with the balance of the car and I wasn’t aggressive enough with it. With three races remaining in the 2017 season, Newgarden holds an 18-point lead over Chip Ganassi Racing’s Scott Dixon, who qualified seventh (183.848 mph). Castroneves trails Newgarden by 22 points, Pagenaud is 26 points back and Power, with the point earned for winning the pole, is 41 points behind the leader. A taped replay of qualifying airs at 7:30 p.m. ET Saturday on NBCSN. The 21-car field returns for a pit stop practice/competition that takes place at 8:15 p.m. 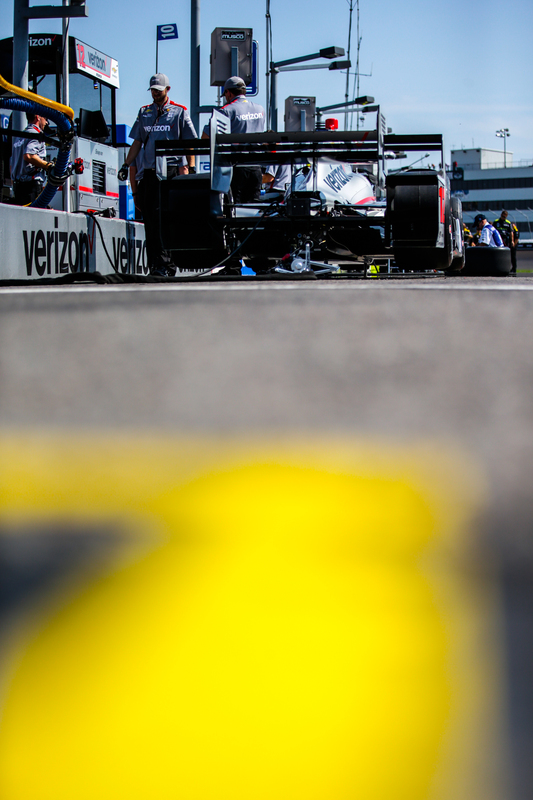 ET Saturday and streams live on RaceControl.IndyCar.com. 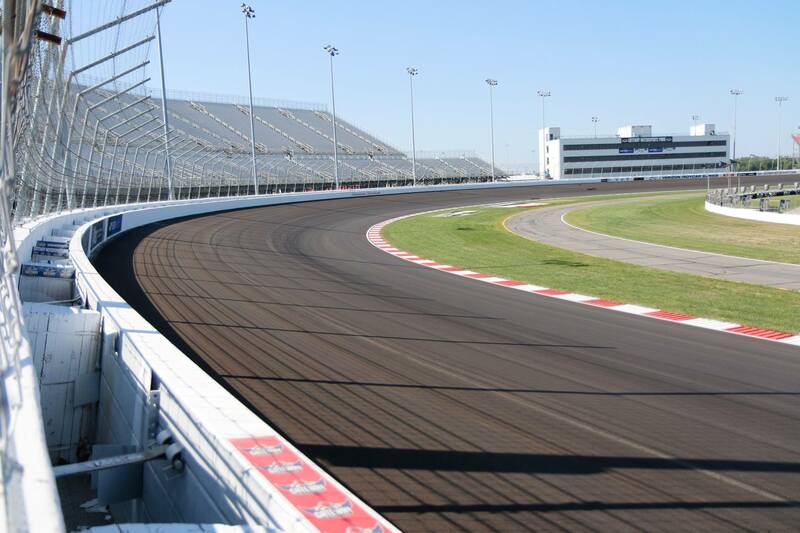 Indy cars raced at Gateway Motorsports Park annually from 1997-2003, but this year marks the Verizon IndyCar Series’ first return since then. Live coverage of the 248-lap event begins at 9 p.m. ET Saturday on NBCSN and the Advance Auto Parts INDYCAR Radio Network.